Some of you laugh when those of us who live in Hawaii talk about how cold our winter is. For those of us who do not have temperature-controlled houses, waking up to temperatures lower than 70 degrees puts us in a socks-on-the-feet and eat stews and soups mood. 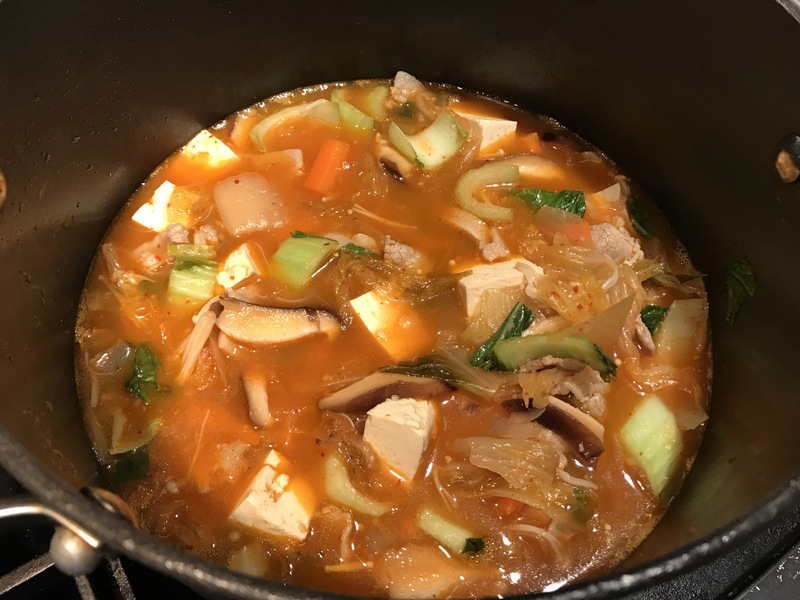 I was recently in one of those moods and decided to make my version of kimchi chigae, a kimchi stew/soup that my family loves. 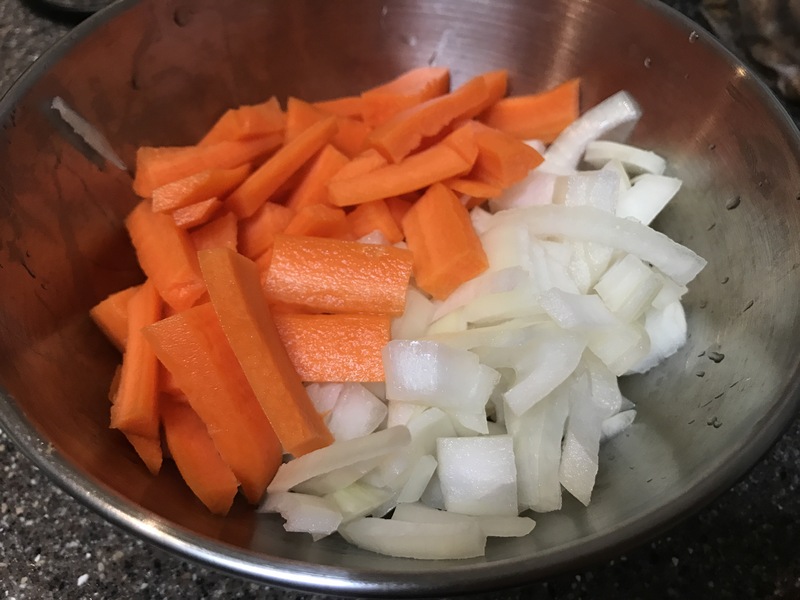 I started off by chopping some onions and carrots and sauteed them in a large pot. 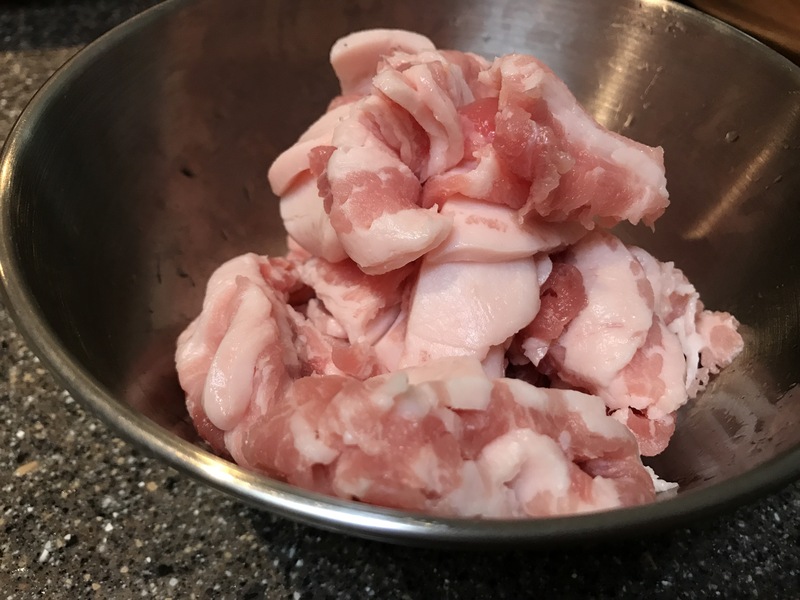 I found some thinly sliced pork belly at KTA and chopped into bite-sized pieces and added that to the pot. Next to the pot, I added some kimchi that I had in my refrigerator. The more sour the kimchi the tastier your chigae will be. Don’t be afraid to use one that has been sitting in your fridge for a while–and definitely don’t throw it away! Next, I added some water to the pot and used the Dashida Korean seasoning as well as the kochugaru (dried red pepper flakes) to season the broth. After the broth comes to a boil, reduce the heat and let it simmer. 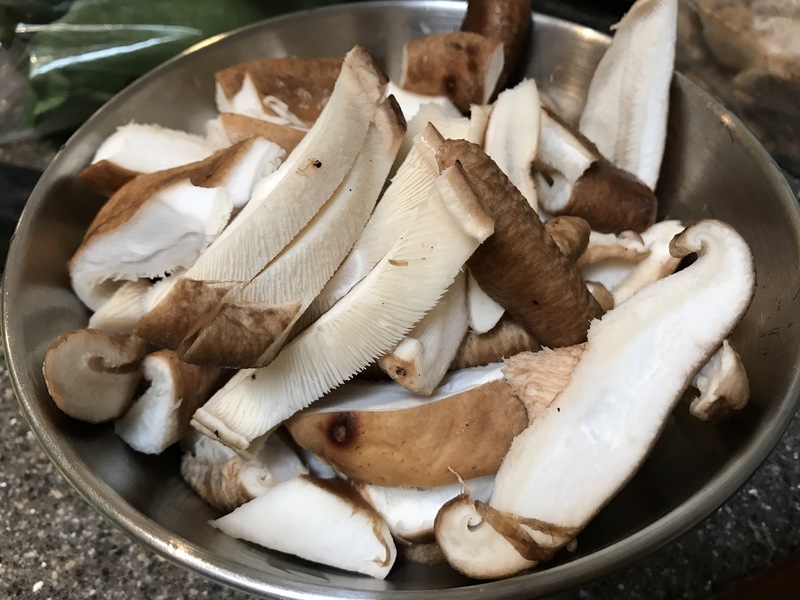 At this point, I added slices of fresh shiitake. 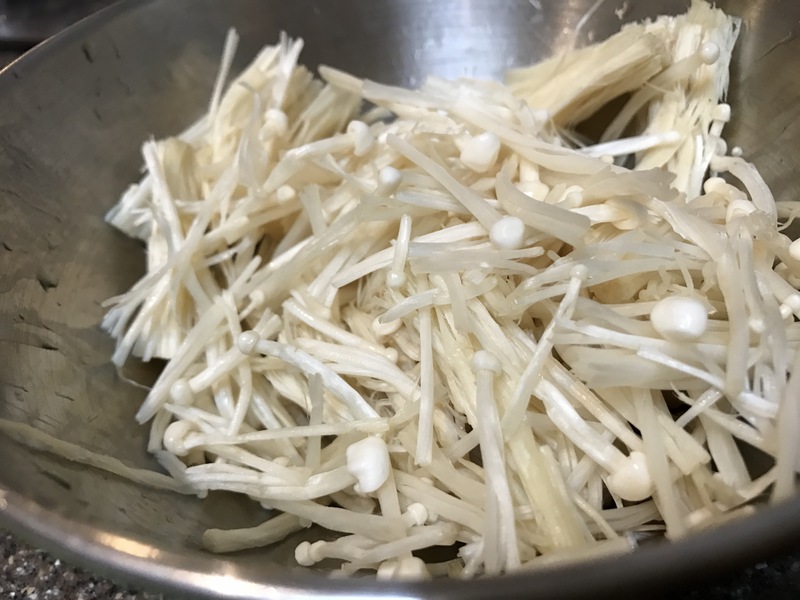 I also added enoki mushrooms. 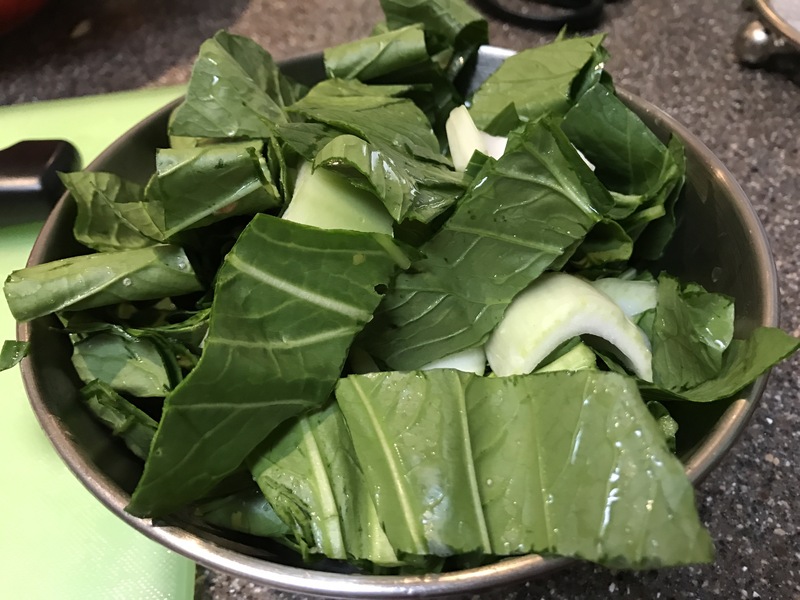 And since I had some fresh and locally grown pak choy from my CSA delivery, I added that in. 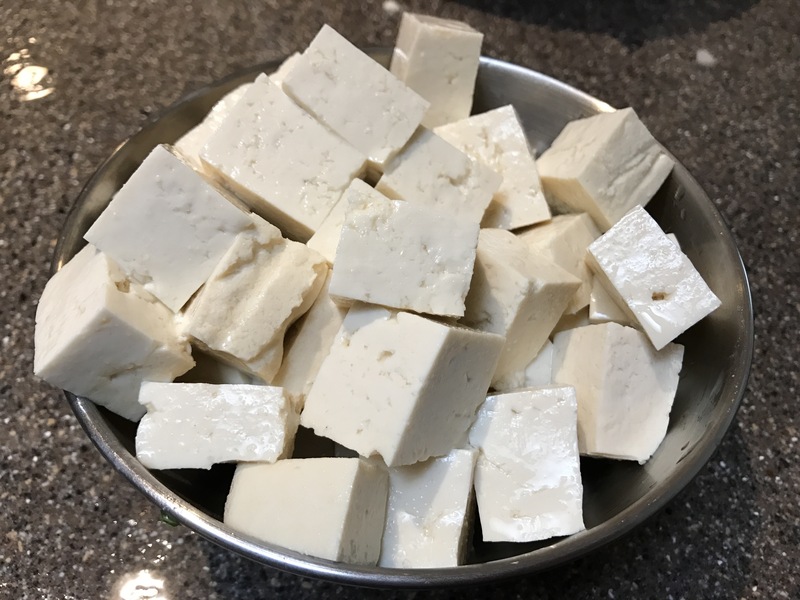 After the stew/soup simmered for a while, I added in cubes of Oshiro tofu to the pot. And the final product was delicious and was a hit with my family. It was the perfect dish for a wintery Hilo evening. Living Hilo Style.